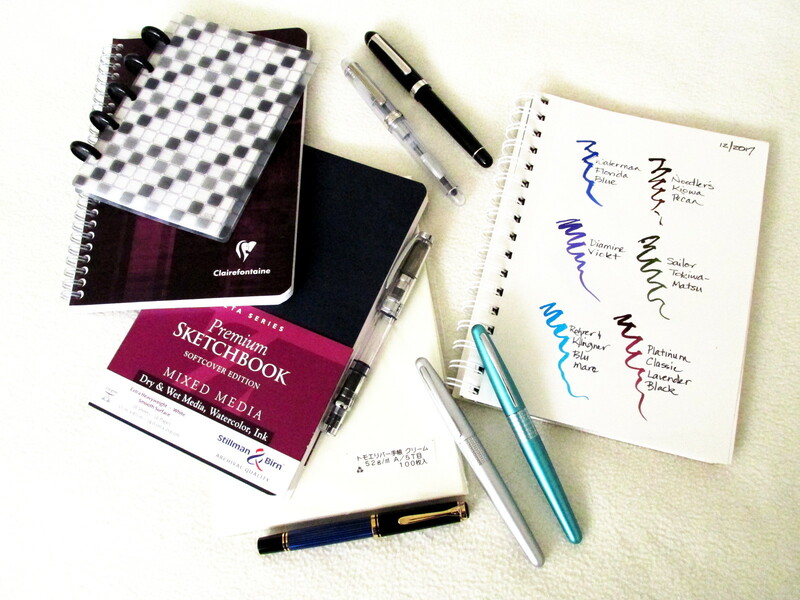 Before fountain pens caught my fancy, watercolors were my favorite distraction. Over the years, a number of brands and kits have come my way. After experimenting with the lot, the Sennelier Aqua Mini set has become my favorite. 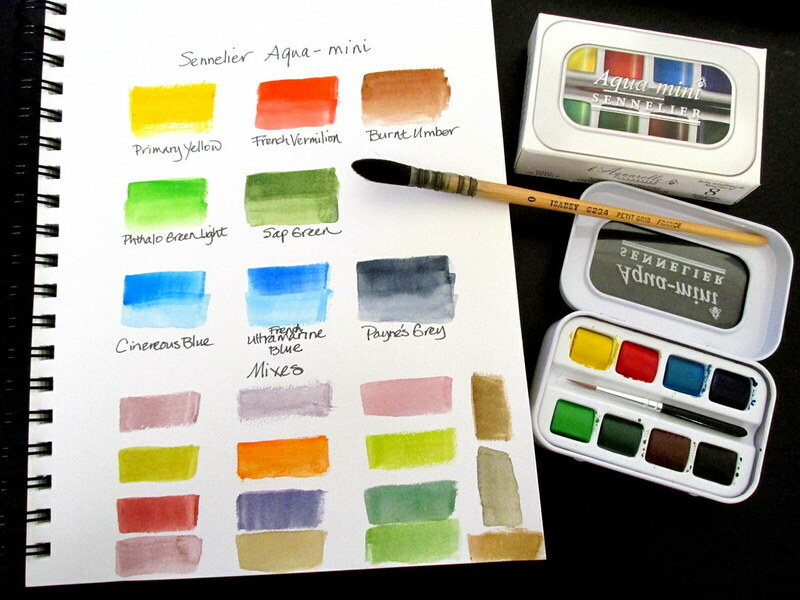 The Aqua Mini is very good value for money at about $20 for eight small cakes of artist grade paint. They are cheerful, transparent colors reminiscent of Impressionist paintings and can be mixed to make a satisfying variety of additional colors. Perhaps because they are made with honey, they are sticky and yet creamy at the same time. They moisten readily and put down significant color with no effort. They really are a pleasure to use. Unfortunately, the box and brush are somewhat less exciting. The brush is tiny though suitable for small details. I prefer a #6 or #8 round travel brush for painting in the wild. When at my desk, anything goes. The box has very little space to mix colors. This is a design flaw that can be remedied by placing a flat container nearby for mixing purposes. White porcelain is the best at revealing a paint’s true color. It shouldn’t stain and cleans easily so I would recommend it over other materials. However, plastic might be more practical for travel. Tip: A dessert or sushi plate can make a useful palette. Pans of paint can be attached temporarily to the plate with tape or a removable adhesive or putty. Following a session, allow the paints to dry. Then cover with plastic wrap or store in a resealable bag to prevent dust from accumulating on the paint. When it comes to working at my desk, this is one of my favorite arrangements. 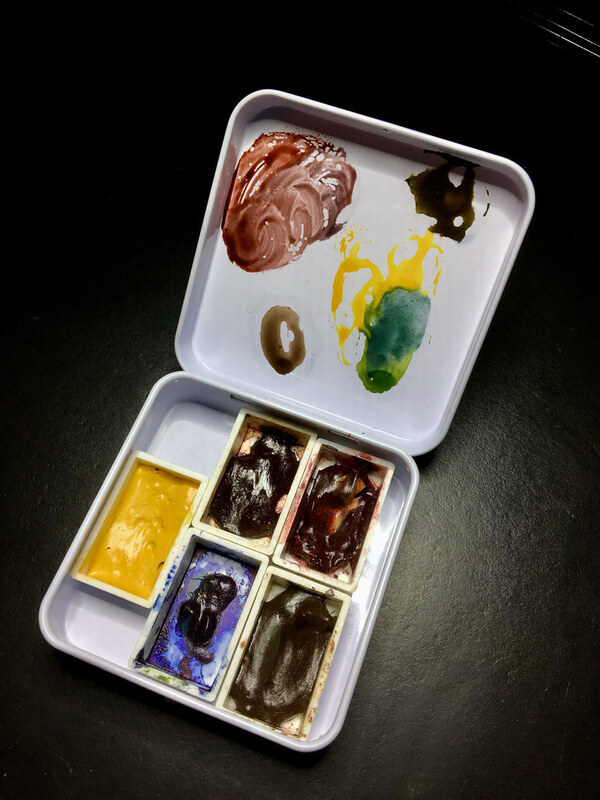 Or you can pry the paints from the original tray, move them into plastic watercolor pans and then to a variety of containers from a mint tin to a proper watercolor box. A different option would be to pry the entire plastic tray out of the original Sennelier box and put it into a mint tin of similar size. One with a flat, metal lid would provide a more useful mixing area. If it’s white, so much the better. Below is a Simply Gum Mints (not the chewing gum) metal box that will hold six large pans or nine small ones like those from the Aqua Mini set. Mia discovered how well these tins work and I am so glad she passed that along. My family has gone through a large box of the mints leaving me six containers for a variety of color groupings. If you just want to play around with paint, the supplied brush and box will do. 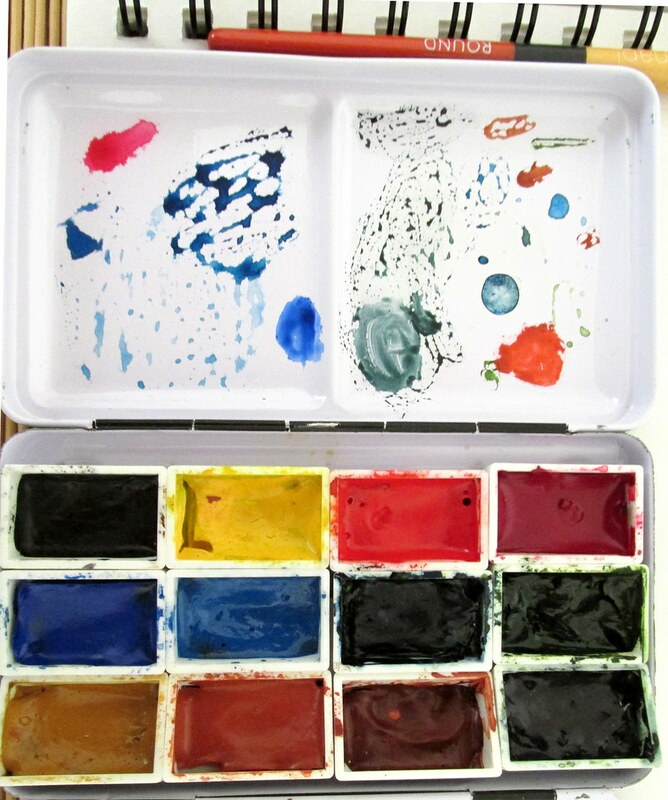 But don’t be surprised if you get hooked and need a better brush and not long after that, a real watercolor box. Then more paint and brushes and, well, you get the picture. Such things happen even with the best of intentions. Collecting paint is very much like collecting ink. Brushes are comparable to pens. You have been warned. 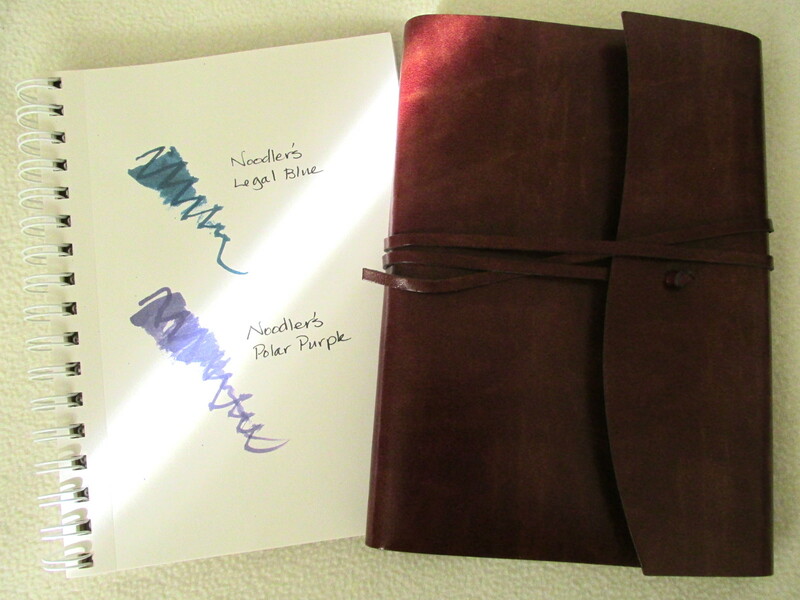 As for paper, Stillman & Birn make lots of journals for the traveler. Tomoe River paper will take a light wash of color as will a number of other brands. 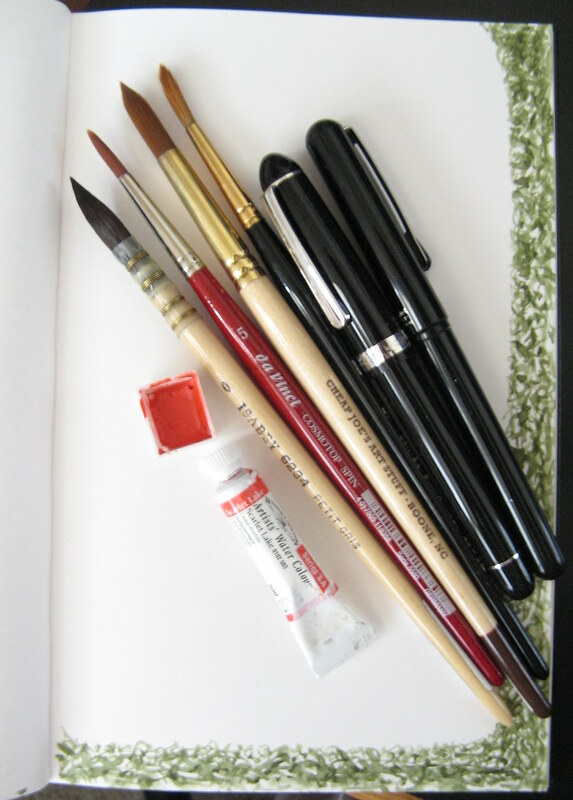 Should painting charm you beyond the occasional doodle, go for 100% cotton watercolor paper. It can be pricey but totally worth it. 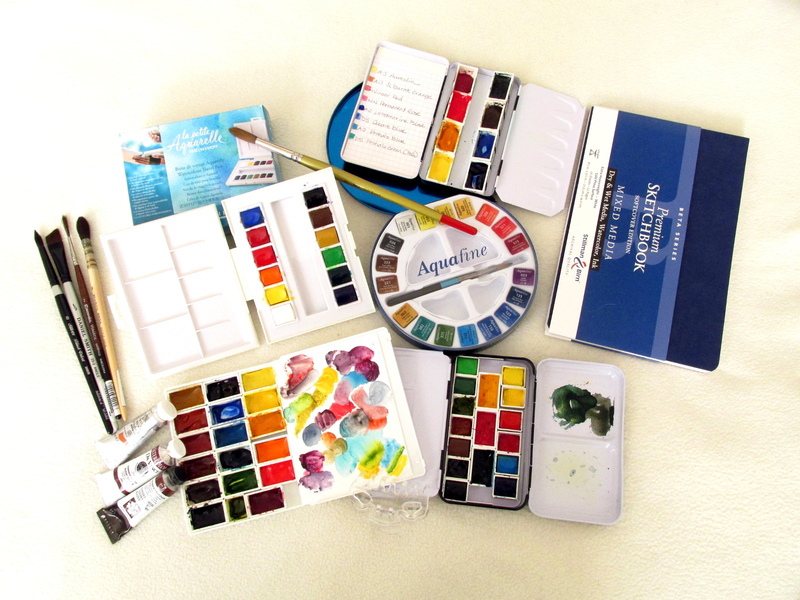 My enthusiasm for Sennelier watercolors is what I really wanted to share with you. The container and brush deficiencies are easily overcome so don’t let that be a deterrent. The paint is great and that is what really counts. Stillman & Birn Zeta Sketchbook smooth enough to accommodate fountain pen nibs or the Beta for a slightly textured surface. At Parka Blogs, Teoh reviewed the Sennelier Aqua Mini set with similar conclusions. Whether penned on the back of an envelope, a scrap of napkin or in a classic journal, a list is my favorite organizational tool. The end of the year is the perfect time to make such a list, one that summarizes and compares my ever-changing pen, ink, and other tool preferences. Rather than new faves, the focus for my 2017 list was which tools were used the most, those that rarely if ever left my desk. Products that arrived late in the year didn’t qualify even if they were noteworthy. The handsome journal from Central Crafts and two inks from Noodler’s will have to wait for the 2018 list. 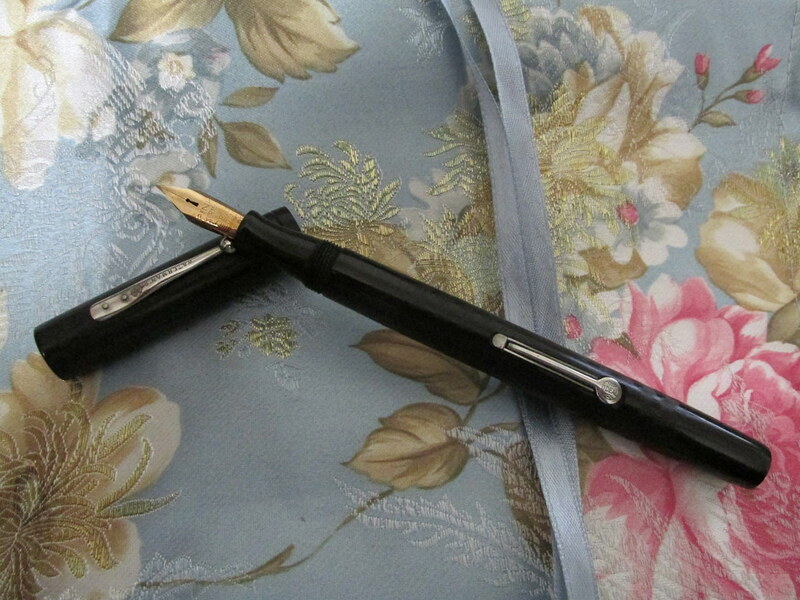 Pelikan M400 Fine – This pen has been in my collection for a number of years. The flow was increased by Chartpak to accommodate hand issues and proved to be a brilliant pen for my worst days. Platinum Century Nice Pur Medium – Using different grip widths relaxes my hand while a smooth nib makes short work of any written task. The Plat provided provided both and was a good alternative to the Pel. Besides, what’s not to like about a clear barrel that shows off colorful ink? Platinum #3776 Music Nib – Sometimes a wide nib gives me a little extra support when my hand is tired and at those times a music nib fits my needs very well. It also adds a little flair to the written word without catching on paper as an italic might and that makes writing more enjoyable. Pilot Metropolitan Medium – When out and about, I carry a pen that can easily be replaced, but still writes well and looks sharp. The turquoise Met meets all those requirements. 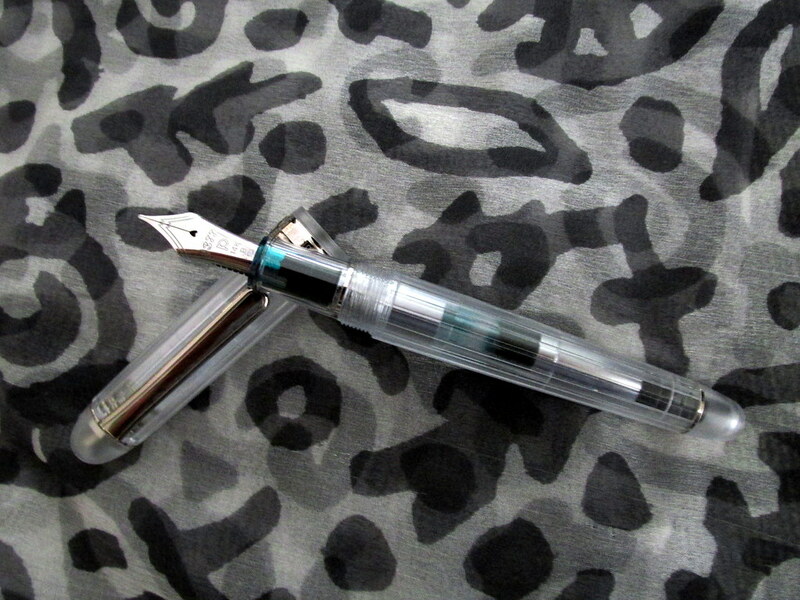 TWSBI Diamond 580 Stub – This pen won the slot for a nib with line variation. It also added a pen to my rotation with a slightly wider grip circumference than the other pens. You already know what I think of a clear barrel and this design makes colorful ink sparkle. Lamy Studio Fine – It is on the list but last due to its unpleasantly sharp cap and barrel edge. However, the nib and flow make using it worth the risk so long as I remember to grasp it gently. Unfortunately, this one has disappeared and missed the photo shoot. Phooey. Waterman Florida Blue is mated to the Pel M400. The flow is perfect for the nib and though I may experiment with other inks, WFB always wins out. Noodler’s Kiowa Pecan makes a luscious line with the #3776 and the shading can be quite dynamic. Diamine Violet has been the choice of the TWSBI Diamond 580 stub and with good reason. Eye candy to be sure. Platinum Mixable Aqua Blue suits the turquoise Met perfectly. My samples are now depleted, so it’s time for a full bottle. In the interim, Rohrer & Klingner Blu Mare will do. 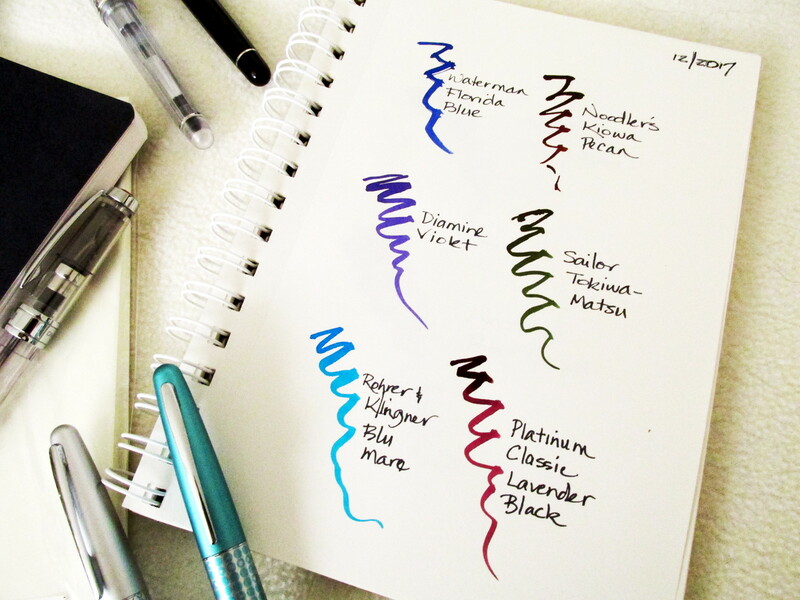 Sailor Tokiwa-Matsu was my dark green ink which was well suited to a silver Met. It isn’t Montblanc Racing Green, but it does have excellent flow as well as other charming properties. Platinum Classic Lavender Black is a newcomer that made a splash in the Platinum Century Nice Pur. Color and performance made this an excellent choice for my everyday ink. 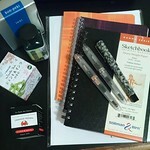 Clairefontaine, Stillman & Birn, Staples Arc and anything made with Tomoe River paper. Enough said. Artist quality: Sennelier, Daniel Smith, American Journey, and Da Vinci are mainstays along with a couple of Winsor & Newton colors on occasion. 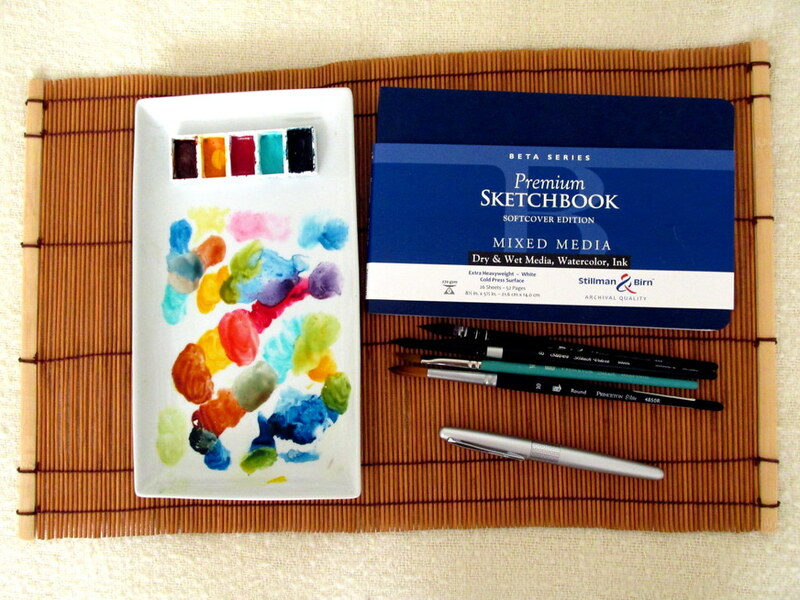 Student grade: Sennelier La Petit Aquarelle and Daler-Rowney Aquafine are about as good as student quality gets. They are not as saturated or lightfast as artist grade paints, but fine in a journal and are packaged conveniently for outdoor sketching. When I empty a palette of student paint, it gets refilled with artist quality paint. Arches 140# for paintings and Canson Watercolor 140# for color swatches. The best paper is 100% cotton. It will yield the truest colors and survive the longest. Arches is cotton and readily available. It is pricey but worth it. SAA Gold Round #10 This was my favorite brush last year and easily got the most use. What’s on your list? Use the comments to post your faves as well as most used tools for 2017. Or submit a link if you’ve already shared such a list elsewhere. Pressing records again? New ebonite pens? Bedding made from coffee grounds? What’ll they think of next! 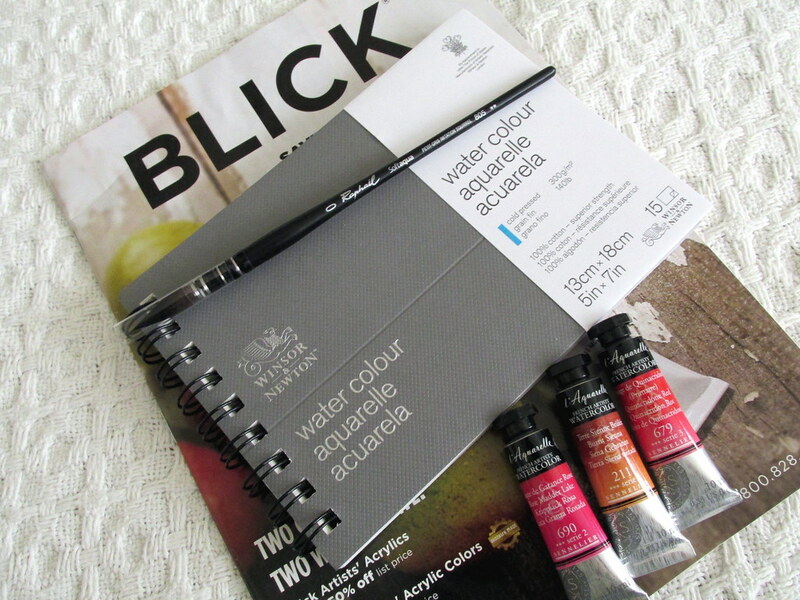 Which Brand of Watercolour Should You Choose? Do you keep a wishlist? Mine took less than two minutes to compile. No pondering the question. Just a brief, whatever comes to mind list. And darned if it isn’t just right. Try it the next time you have two minutes to spare. The results might surprise you. You are currently browsing the archives for the Watercolor Supplies category.